Here's my Top 10 list for the year. 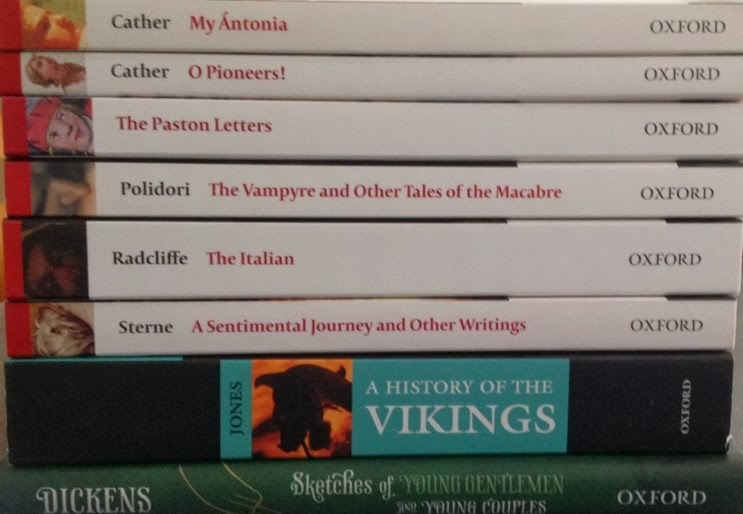 It's a mix of fiction & non fiction but it represents all the genres & subjects I'm interested in - history, 19th & 20th century fiction as well as a couple of brand new novels. The books are in no particular order, just as I thought of them or as they leapt out at me as I looked back through my reading list for the year. I love writing this post every year. It takes me ages as I go back to my reviews & read all your lovely comments & remember the experience of reading the books again. It leaves me feeling happy & excited about the reading year to come. The links are to my original reviews. 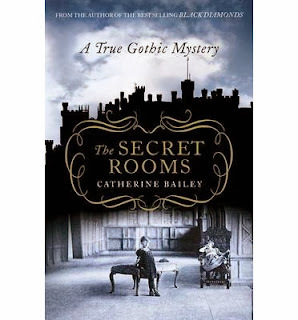 The Secret History by Catherine Bailey. A book about family secrets & lies & an absorbing story of literary research & detection. 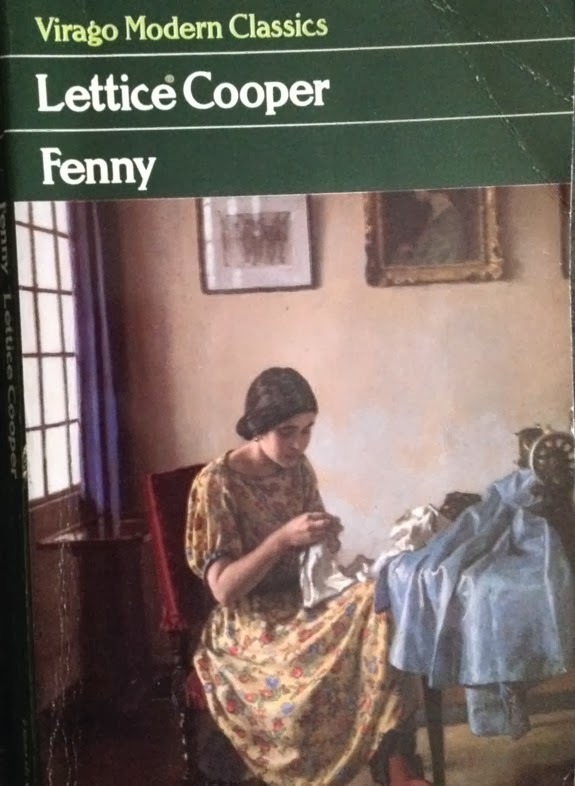 Fenny by Lettice Cooper. The story of a young woman whose life is changed forever by moving to Italy in the 1930s. 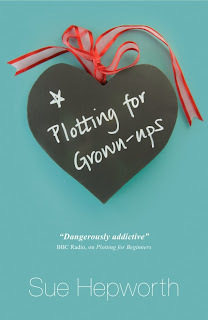 Plotting for Grown-ups by Sue Hepworth. I'm also including Plotting for Beginners (written with Jane Linfoot) here as well as I read both books in about a fortnight. Sally Howe is a writer living in the Peak District, coping with a disintegrating marriage & a new love, wayward children & the trials of self-publishing her new novel. I loved Sally's voice which is funny, witty & so observant about the life of an older woman assailed by family & friends who just wants to be able to watch Neighbours in peace. 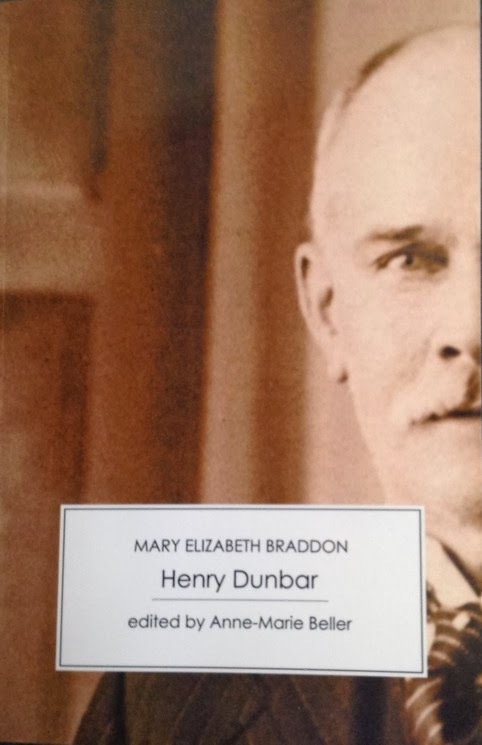 Henry Dunbar by Mary Elizabeth Braddon. I didn't read nearly enough sensation fiction this year but this was a book I chose for my 19th century bookgroup & I loved it. A story about betrayal, murder, money & relationships between fathers & daughters. My excellent Victorian Secrets edition included a comprehensive Introduction & some fascinating contemporary reviews. The Deliverance by Ellen Glasgow. A Gothic family saga with overtones of Wuthering Heights, set in the American South after the Civil War. Another excellent choice from my 19th century bookgroup. Wounded by Emily Mayhew. There will be many books published over the next few years about WWI as the anniversaries of that conflict begin. I don't think there will be many that are as moving as this one. 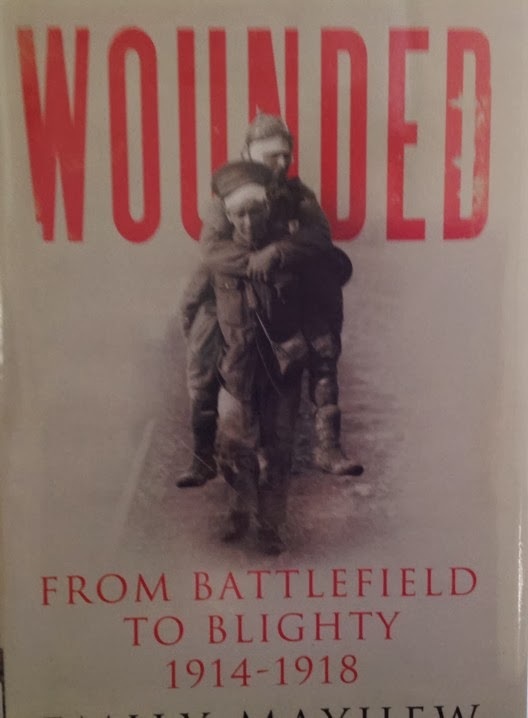 It's the personal stories of the wounded & those who care for them, from the front line to the hospitals back home in Britain. The Ashgrove by Diney Costeloe. 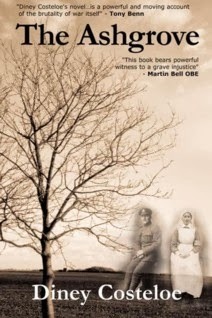 A beautifully written novel about remembrance & a shocking story of injustice set in the present & during WWI. I still have the sequel, Death's Dark Vale, to look forward to. The Firebird by Susanna Kearsley. I love Kearsley's novels but this one was completely involving. A sequel of sorts to my two favourite books of hers - The Shadowy Horses & The Winter Sea, the story moves from the present to the past, from Scotland to Russia & I was completely absorbed in the story & the characters. 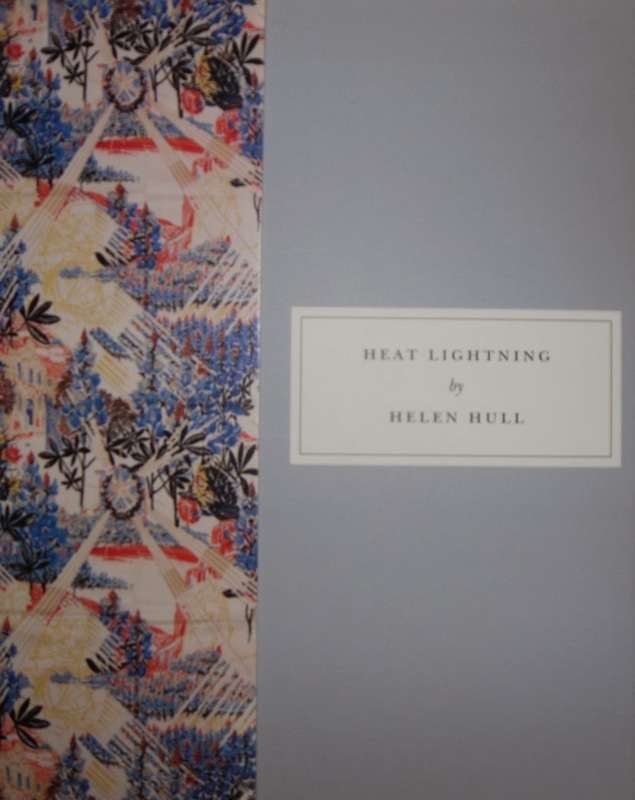 Heat Lightning by Helen Hull is my Persephone of the year. The story of a woman who returns to her family home in Michigan during a hot summer to work out what she wants from her life & her marriage. A completely absorbing family saga, reminiscent of Dorothy Whipple. 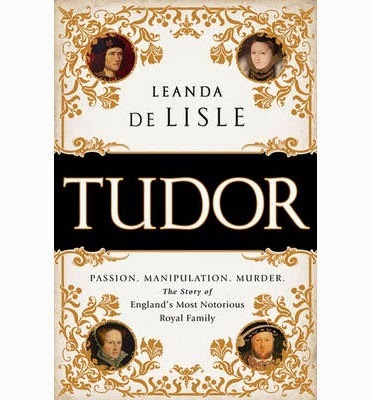 Tudor by Leanda de Lisle. 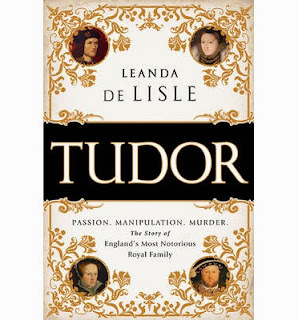 I've read many books about the Tudors but in this excellent account, Leanda de Lisle focuses on some of the forgotten people in the story, often women. Most interestingly, Lady Margaret Douglas, daughter of Margaret Tudor, Queen of Scots & potential heiress to the throne at different times of the life. A perfect introduction to the Tudor story but also a book with lots to interest those who have read hundreds of books on the period. I'd also like to mention two audiobooks that I loved this year. I don't usually review audiobooks because I listen in the car & I can't take notes or refer easily back to check names & details. However, there were two standouts for me this year. Clarissa Dickson Wright read her own book, A History of English Food. This was so involving & Clarissa was a perfect traveling companion as she guided me through English food over the centuries with a good bit of history thrown in. Witty & opinionated, I could hardly wait for the next instalment. Bertie by Jane Ridley is the biography of Edward VII. This is a sympathetic but honest book about a man who survived a dreadful childhood & an aimless life as an unemployed prince to become a respected monarch in the final years of his life. Lots of lovely gossip as well & a well-rounded portrait of an interesting man. Well, there it is. I'll be back tomorrow with a New Year's resolution & I'll look forward to touring the blogs & reading everyone else's Top 10 lists. Happy New Year! Sunday Poetry - Happy New Year! 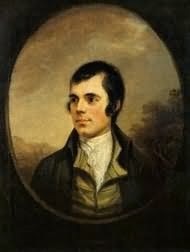 I can't think of a more appropriate poem for this time of year than Robert Burns's Auld Lang Syne. Written in 1788, the title literally means "old long since" or "long long ago". Even though it's often sung to a jaunty tune, it's also a melancholy song about remembrance of those who are no longer with us & also a farewell to the year that's ending. I'll be back before New Year's with my Top 10 books of the year & maybe even another review so I won't wish you all a Happy New Year just yet. Enjoy the last few days of 2013, whatever you're doing. Murder on Cue is the first in a series of mysteries set in the world of New York theatre in the 1970s & 80s. Originally written in 1992, Murder on Cue & its sequels have just been released as ebooks by Open Road Integrated Media. 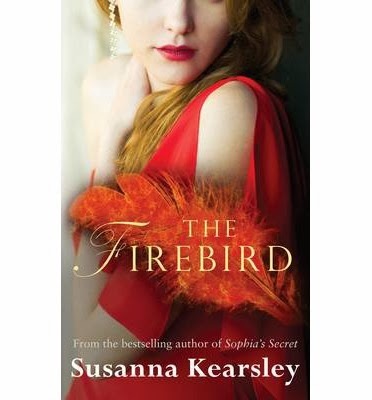 This first book in the series is fast-paced, funny & full of theatrical gossip & intrigue. Jane Dentinger is definitely writing in the tradition of Agatha Christie & maybe especially Ngaio Marsh who set several of her books in the world of the theatre. Jocelyn (Josh) O'Roarke is a struggling actress who has just been offered a part in a new play by her friend, Austin Frost. As well as a small role in the play, Term of Trial, she's also understudying the lead, a lawyer played by Harriet Weldon. Josh soon realises that no-one is happy about Harriet's involvement in the play but her husband, Harold Tewes, is bankrolling the production. The director, Charlie Martin, has had a big success with a musical but his next project got poor reviews & he needs a success this time. Harriet is not a good actress & is all wrong for the role of Lindsay Harding but the cast & crew have to make the best of it. Set designer John Baron is in a relationship with Harriet's son, Paul, a spoilt young man who is always in need of money& she does not approve. Harold Tewes' personal assistant, Sybil Stearns, is very devoted to him & doesn't seem all that fond of her employer's wife. Leading man, Kevin Kern, was once a pupil of Harriet's & their brief affair left some awkwardness in its wake. When Kevin pursues Josh, Harriet is not pleased. When Harriet is murdered, there is no shortage of suspects - including Josh, who will step into the biggest role of her career & had just been accused of wanting the lead role by Harriet in front of the whole cast & crew. The police, led by Detective Sergeant Phillip Gerrard, soon discover that Harriet's death from a fall from a ladder, which was planned to look like an accident, was actually murder. Harriet insisted on pale pink light globes in her dressing rooms & always changed them over herself. While she was on the ladder, she was hit from behind with a sandbag. She bled to death, helped by the fact that she was taking medication for blood clots. There are no shortage of suspects & hardly anyone has an alibi. Josh soon realises that she is the chief suspect & decides that she has to do some investigating herself or she'll soon find herself in the dock. Fortunately, Gerrard finds himself attracted to Josh & so is unlikely to jump to any conclusions just because she seems to be the obvious suspect. In fact, several of the cast & crew have secrets that will be uncovered before the real murderer is revealed. I enjoyed Murder on Cue very much. It's very much in the tradition of a classic mystery with a closed circle of suspects. It also had the added attraction of being set in the New York theatre world which I found fascinating. It made me think of Helene Hanff's Underfoot in Show Business. The 1970s setting isn't overdone & Josh is a very attractive heroine, likeable & not afraid to jump in where angels fear to tread. She is also impulsive, arranging to meet the person who hit her over the head as she was discovering a vital clue but at least she chose a public place for the meeting rather than backstage at midnight! I like to think of that plot twist as homage to the Had I But Known school of thriller writing. I would definitely like to read more of this series. 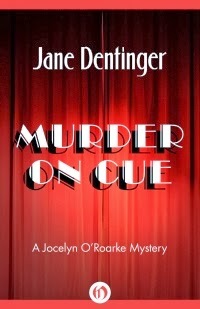 I read Murder on Cue courtesy of NetGalley. Jessica Speight is a student in London in the 1960s. She has an affair with her married teacher, the Professor as she calls him, and becomes pregnant. Her baby, Anna, is the pure gold baby of the title. The Professor eventually drifts back to his wife, after failing to convince Jess to have an abortion, & Jess becomes a devoted mother to Anna. Anna is a beautiful baby, calm & happy. However, as she gets older, it soon becomes apparent that everything is not right. There's no physical manifestation of her disability but she is slow to learn & physically clumsy. She will never learn to read & write although she can recognize letters & numbers. Anna has a developmental delay that is never precisely diagnosed. Is it genetic? Was she deprived of oxygen at birth? Jess doesn't know but she soon accepts that this is Anna & devotes her life to caring for her daughter. Jess studied anthropology & made a journey to Central Africa that resonates throughout her life. She became fascinated by the children of the tribe she was studying, children afflicted by a disability then called Lobster-Claw syndrome (later called SHSF or split hand, split foot). The children coped well, adapting to their disability & accepted by their community. This trip to Africa represents the beginning of a career that will never really take off. Once Anna is born, Jess will take no more field trips. Her career became one centred on the home, on her neighbourhood of North London. She studied, she marked exam papers, she wrote articles & edited a journal. She worked so that she could be at home to take care of Anna. even after she finds Anna a place in a residential school for a few years, Jess doesn't venture far from home. She has a short-lived marriage & a few minor relationships but this is the story of a mother & a daughter. The novel is narrated by Eleanor, a friend of Jess. Telling the story at one remove is an interesting decision but it works. Eleanor is part of Jess's circle of friends in North London. She's married with two sons but we never really know much about her. Her purpose is to tell the story of Jess & Anna as she knew it, through observation, rumour & the stories Jess told her over the years of their friendship. What we discover about Eleanor is through asides & scraps of conversation. The advantage for the reader is that we form a picture of a neighbourhood from the 60s to the present day. The type of neighbourhood that Margaret Drabble was writing about in the 60s & 70s, where the children are cared for almost collectively. Eleanor may be one of Jess's closest friends but even she doesn't know everything about Jess. For a long time she doesn't even know who Anna's father is. Jess tells her own stories in dribs & drabs, which is what life is like. The Pure Gold Baby is a fascinating exploration of the changes in society over the last 50 years. Through Anna's story & through the stories of others, the depressed poet, Steve, or Zain, a Sudanese who was working at the BBC until his marriage ended in violence & he was ordered to undergo psychiatric treatment, we witness the changes in medical care over the decades. Jess's involvement in the medical system as she tries to find the care that Anna needs, brings her into contact with Steve, Zain & many others, both carers & patients. It's an interesting look at the way society has changed in the way we look after the disabled, the way we view mental health. Above all, this is the story of Jess & Anna, a story of love & devotion & the way a woman's life is changed in a moment by the birth of a child who will always need her. I enjoyed The Pure Gold Baby very much. The narrative is slow & discursive, taking in anthropology, health policy, information about authors who have cared for or denied their own disabled children or siblings (including Jane Austen, Pearl Buck & Arthur Miller) & the changes in North London over fifty years. I read over half the book in one sitting yesterday afternoon. There are no big, dramatic events. Even the dramas - an attempted suicide, a health scare - are concerning rather than heart-stopping. It was like sitting beside Eleanor as she told me the story of Jess & her pure gold baby over a pot of tea at the kitchen table. The novel is a beautifully observed slice of middle-class English life over the last five decades. I've read quite a few of Margaret Drabble's novels, even though I always feel I'm about a decade too young to read them. I mean that I was born a couple of decades after Drabble, Fay Weldon, Margaret Atwood & I always felt that I couldn't read their novels in the same way that their own generation did. These writers all seem to have been writing very much for their generation of women, especially in the 60s & 70s, with the growth of the feminist movement. Having said that, I've enjoyed their work & Drabble's Radiant Way trilogy is a particular favourite - even though I read the books a decade after they were written. I'd read somewhere that Drabble had retired from writing fiction but I'm glad she changed her mind. I listened to a podcast from the BBC's Open Book programme last week (it's here if you'd like to listen to it) & was pleased that I could download the ebook from my library's collection straightaway. Lucky, Phoebe & I would like to wish everyone who visits I Prefer Reading a very Happy Christmas. We'll be having a quiet day as I celebrated my family Christmas on the 15th. 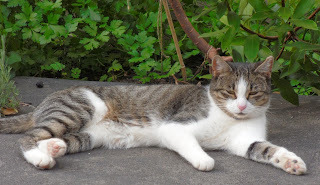 I'll be meeting up with my sisters for brunch (no turkey in sight); the weather looks fine - not too hot, not too stormy & I hope it will be a relaxing day. My final Christmas carol is more recent in date than my usual choices but it has a lovely, melancholy feel to it that appeals to me. I Wonder As I Wander was collected in 1933 by John Jacob Niles in North Carolina & is a folk song from the Appalachian Mountains. No one really knows how old it is & some say it's early twentieth-century. I don't think it matters because it's such a beautiful song. The gentle music is such an important part of this carol so, if you don't know it, here it is, sung by the Cambridge Singers. Sorry for the lack of posts over the last couple of weeks. I've been reading quite a bit but didn't have the time or the will to post anything. 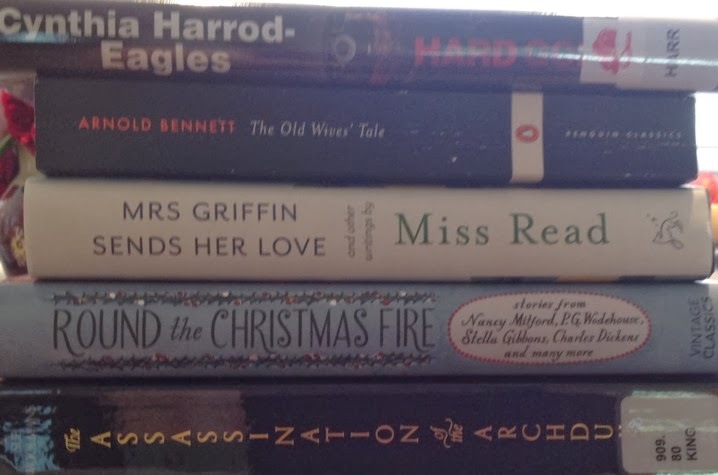 So, I've decided to do a little pre-Christmas wrap-up of what I've been reading & what's next off the tbr pile. 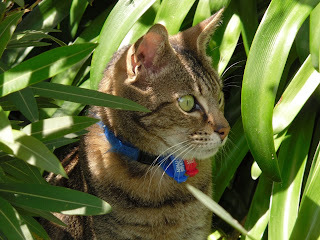 Hard Going is the latest Bill Slider mystery from Cynthia Harrod-Eagles. This is one of my favourite series. It's witty & very funny as well as being a good, traditional police procedural with lots of investigative legwork.Slider & his team are investigating the murder of retired solicitor Lionel Bygod. He's found in his study by his cleaner, his head bashed in. Bygod seems to have been a philanthropist, helping anyone who asked for legal advice yet his small circle of friends knew nothing about his life before he moved to Shepherd's Bush. Slider's investigations lead to a scandal in Bygod's past that may have had far-reaching consequences. The personal lives of the team are as interesting for me as the investigation. Slider & his wife, Joanna, are expecting their second child & considering the changes a new baby will bring. Slider's father, George, lives with them & is happy to babysit but he has a new lady friend & Joanna fears that she'll be the one to give up her career as a musician if childcare becomes a problem. Commitment-phobic Jim Atherton had finally settled down with Emily but their relationship has hit a rough patch & Slider is concerned. Detective Superintendent Porson is as full of malapropisms as ever. "Don't want any excuse for Mr Wetherspoon to cast nasturtiums on our efficiency." The Old Wives' Tale by Arnold Bennett was the choice of my 19th century bookgroup & another excellent choice it was. This was my first Bennett although he's been on my radar for a while & I'd like to read more of his books. Sophia & Constance Baines live in Bursley, one of the Five Towns where Bennett set much of his fiction. Their parents run a drapery shop although their father has been incapacitated for years. The story is about the different choices the sisters make. Constance lives in Bursley, in the same house all her life, marrying Samuel Povey, the head shop assistant, taking over the shop when her father dies & spoiling her only child, Cyril. Sophia elopes with Gerald Scales, a commercial traveller, & ends up in Paris, living through the siege of 1870 during the Franco-Prussian War & becoming the owner of a pension. The sisters are reunited at the end of their lives & are able to reflect on the paths they chose. I loved this book. Reading it in instalments was a good way to read it because each section is so complete. The sisters are together at the beginning & the end of the book but we first follow Constance over twenty years & then go back to Sophia's elopement & follow her life. The story is full of humour & quiet moments of revelation & I knew these women & sympathised with the choices they made - even if I couldn't always agree! Mrs Griffin Sends her Love & other stories is the last book by Miss Read. It's a collection of short stories & essays she wrote, mainly for magazines like Country Life & The Lady throughout her career. 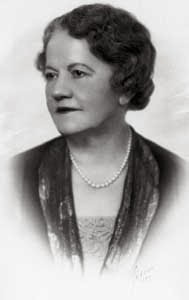 I especially enjoyed reading about how Miss Read (a pseudonym for Dora Saint) came into being, "Miss Read was born fully clothed in sensible garments and aged about forty. She was born, in fact, when I was struggling to write my first book and needed a village schoolmistress as the narrator." After writing several of the Fairacre books, Mrs Saint decided she needed a change & created the village of Thrush Green. These books were in the third person & afforded more scope to investigate village life. Both series have been extremely popular & the illustrations of John Goodall have been a key factor in this. Unlike some authors & illustrators, this partnership seems to have been a happy one from the beginning & Miss Read pays tribute to their partnership in an essay called "The Author & the Artist". I also enjoyed the very funny stories about teaching, the funny things that children say & the joys & trials of being a supply teacher. This is a lovely book that can be dipped into or read straight through as I did. Round the Christmas Fire is a collection of stories from Vintage Classics. There are some old favourites here such as an extract from A Christmas Carol by Dickens (which I'm listening to again on CD read by the wonderful Miriam Margolyes), Christmas at Cold Comfort Farm by Stella Gibbons & Dylan Thomas's A Child's Christmas in Wales. I especially enjoyed rereading Edith Wharton's ghost story, Afterward, which is one of my favourite stories where a young married woman sees a ghost but doesn't recognize it as such until long afterwards when her husband has disappeared & the significance of the date of the encounter becomes clear. There's a wonderful story by P G Wodehouse, Jeeves & the Yuletide Spirit, where Bertie falls foul of Sir Roderick Glossop, who becomes even more convinced that Bertie is a certified lunatic. There are also extracts from Nancy Mitford's Christmas Pudding (which I still haven't read) & Laurie Lee's Cider with Rosie. I read a story a day which was the perfect way to read this anthology. The wisest thing I've done in my life is to marry my Soph. She's my everything: wife, adviser, doctor, friend - in a word, my entire happiness... We love each other just as much as on our first day of marriage and nothing has marred our happiness for a single second. The visit to Sarajevo in June 1914 was mismanaged from the beginning. The security arrangements were totally inadequate. The Habsburgs were hated in Serbia & the visit was to take place on St Vitus's Day, a significant Serbian national holiday. Franz Ferdinand was reluctant to go at all as he feared assassination & was well aware of the tensions in the Balkans. The couple were murdered by Gavrilo Princip, a member of a radical group called The Black Hand. The consequences for Europe were devastating but the consequences for the couple's three orphaned children were also immense. The story of what happened to the children, Sophie, Max & Ernst, makes for sobering reading. They suffered merely for being the children of the Archduke & were persecuted by both the Imperial regime & the Nazis during WWII. This is an excellent book which tells a little-known story very well. The authors have had the co-operation of Franz Ferdinand & Sophie's descendants, eager to tell the true story of their ancestors & correct some of the rumours & lies about Franz Ferdinand, whose life has been long overshadowed by the manner of his death. Wish Upon a Star is another lovely romantic comedy from Trisha Ashley. Cally Weston is a single mother. Her daughter, Stella, was born with a heart defect &, when experimental surgery in the US becomes Stella's only hope for a normal life, Cally goes home to the village of Sticklepond to live with her mother, Martha, & save money. 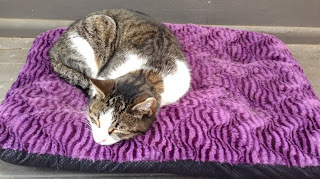 The locals get behind Cally & Stella & soon there are all kinds of projects on the go to raise money. Cally's work as a cookery writer means that she can work anywhere & every penny saved from not living in London goes towards Stella's treatment. Baker Jago Tremayne has a kind heart & a special line in croquembouche. He & Cally become friends & Jago's gingerbread pigs help with the fund raising. Cally & Jago are made for each other, if they can only get past their shyness & disentangle themselves from their previous disastrous relationships. If you've read any of Trisha's previous books set in Sticklepond, you'll recognize many of the locals. 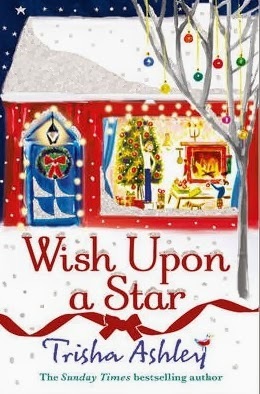 This is a warm, funny story with lots of baking & food as is always the case in Trisha's books. It's perfect Christmas reading. I've also been reading some short stories on my Kindle by Katie Fforde, Laura Lippman, Deborah Moggach & Joanne Phillips. I think I'd better write a separate post about those as this post is already too long! Now, what's next? I've been listening to some excellent podcasts lately. I've just discovered (with some help from my friend, P) how to connect my iPad to my car's speakers with a thingamajig that plugs into the cigarette lighter. So, I've been able to listen to some of the podcasts I'd downloaded as I drive to work as a change from audio books. I'm a big fan of the BBC History magazine podcasts & the BBC also have podcasts available from Melvyn Bragg's In Our Time series (just listened to a great discussion about the Battle of Stamford Bridge in 1066) as well as the Book Club, Open Book, Desert Island Discs & Women's Hour. 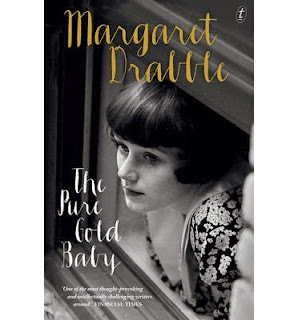 This week, I've listened to Margaret Drabble talking about her new book, The Pure Gold Baby, & a discussion on A Good Read about Antonia Fraser's book about her life with Harold Pinter, Must You Go? Libraries are wonderful things so I've downloaded the Drabble from our ebook collection & the Fraser will be waiting for me on my desk when I get in on Monday. I'm also about to start reading Penelope Lively's new memoir, Ammonites & Leaping Fish, & the latest Open Book podcast features an interview with Lively about the book. Perfect! The Holly and the Ivy is one of my very favourite carols. There seem to be several theories about the origins of the carol but I like to think that the imagery of the holly, which lends itself to representing passages in the life of Christ, was appropriated from pre-Christian ideas as much as Christian ones. The ivy only seems to be included because it's a traditional Christmas decoration; the holly has the starring role. The chorus definitely seems pre-Christian with the rising of the sun seeming quite a pagan image. 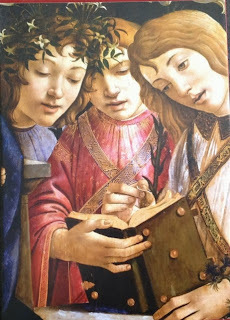 There's another carol which uses the holly as a central image. I have a couple of versions of this on CD & I think it's lovely. It's called the Sans Day carol. It's also known as the St Day carol & has Cornish origins. If you haven't heard this one before, here is Kings' College Choir singing it. 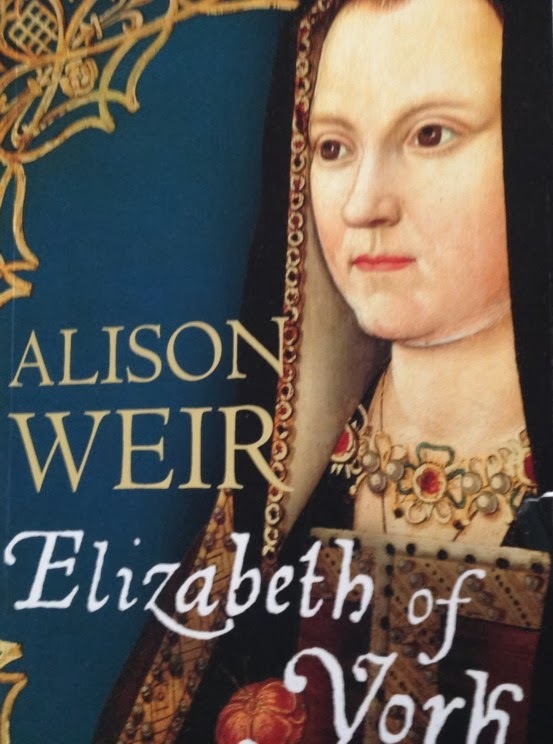 The subtitle of Alison Weir's new biography of Elizabeth of York is The First Tudor Queen & Elizabeth has certainly been overlooked in comparison with the glamour of her son's six wives. During her lifetime she was also overshadowed to an extent by her mother, Elizabeth Wydeville & her formidable mother-in-law, Margaret Beaufort. Usually characterized as gentle, beautiful & good, Alison Weir wanted to bring Elizabeth out of the shadows & reassess her life. Elizabeth of York certainly knew the perils of Fortune's wheel. Born in 1466, the eldest child of Edward IV & his controversial queen, she was heir to the throne until the birth of her brother, Edward, in 1470. She was betrothed to the Dauphin of France as a child & she remained a valuable prize on the European marriage market. However, the Wars of the Roses were a perilous time for royalty & Elizabeth also spent several stints in sanctuary at Westminster with her mother & siblings when Edward IV went into exile & the Lancastrians were triumphant. The battle of Tewkesbury in 1471 seemed to mark the end of the Lancastrian cause with the death of the Lancastrian Prince of Wales & the murder in the Tower soon after of Henry VI. Twelve years of relative prosperity & calm came to an end, though, with the death of Edward IV in April 1483. Richard III's usurpation of the throne led to a crisis in Elizabeth's life. She was back in sanctuary, branded illegitimate, no longer a princess & virtually penniless. She was living with her mother & sisters on the charity of the abbot &, apart from the physical discomforts of her position, must also have worried about her future & the fate of her brothers, locked in the Tower. Elizabeth Wydeville eventually agreed that she & her daughters would leave sanctuary as Richard gave guarantees of their safety & they returned to Court. Whether they ever knew what had happened to the Princes in the Tower is unknown. Elizabeth was then embroiled in one of the biggest scandals of Richard III's brief reign. By early 1485, the heir to the throne, Edward, had died & Queen Anne Neville was ill. Richard knew that Henry Tudor, the Lancastrian claimant, was hovering in Brittany, aided in England by his mother, Margaret Beaufort's, machinations on his behalf. Henry had publicly sworn to marry Elizabeth & join the two houses of Lancaster & York. Richard desperately needed an heir to the throne & his wife was dying. It seems that Richard planned to marry his niece, Elizabeth. What Elizabeth thought of this plan has been a matter of conjecture ever since. A letter, purporting to be by her to the Duke of Norfolk, was discovered in the 16th century. The letter talks of Elizabeth's desire for the marriage & says that Richard is, 'her only joy and maker in the world' and that she was his, 'in heart and thought, in body and in all'. She also wonders if the Queen will ever die. Weir dissects this letter & the evidence for & against with great care. As it turned out, Richard's advisers counselled against the plan & he was forced to make a public denial of the rumours. Only a few months later, Richard was dead at Bosworth & Henry Tudor became King. Elizabeth's marriage to Henry VII was a marriage of convenience that became a genuine partnership. Henry needed to marry Elizabeth to reconcile the factions & end the wars. However, he was very careful not to state that he reigned by right of his wife. By reversing Richard's act, Titulus Regius, which declared Elizabeth & her siblings illegitimate, he automatically made her the Yorkist heir to the throne. He may also have distrusted her if he had heard the rumours about her proposed marriage to Richard. However, the marriage was a success, even though Henry delayed her coronation for several years. Elizabeth gave birth to an heir, Arthur, within a year of the wedding & other children followed, including the future Henry VIII, Margaret, Queen of Scots & Mary, Queen of France. Elizabeth was a generous, charitable woman who often denied herself something to help her many charities. 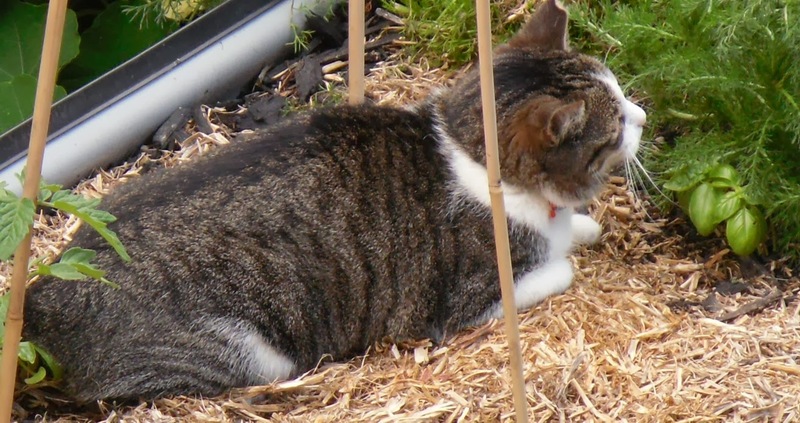 She remained close to her sisters & supported them when they were out of favour with Henry. Although Henry was a cautious man & did not give Elizabeth a generous allowance, he knew the advantages of display & was lavish when it came to public ceremonies & state occasions. Gradually, he came to trust Elizabeth & she seems to have been trusted with confidential State secrets. 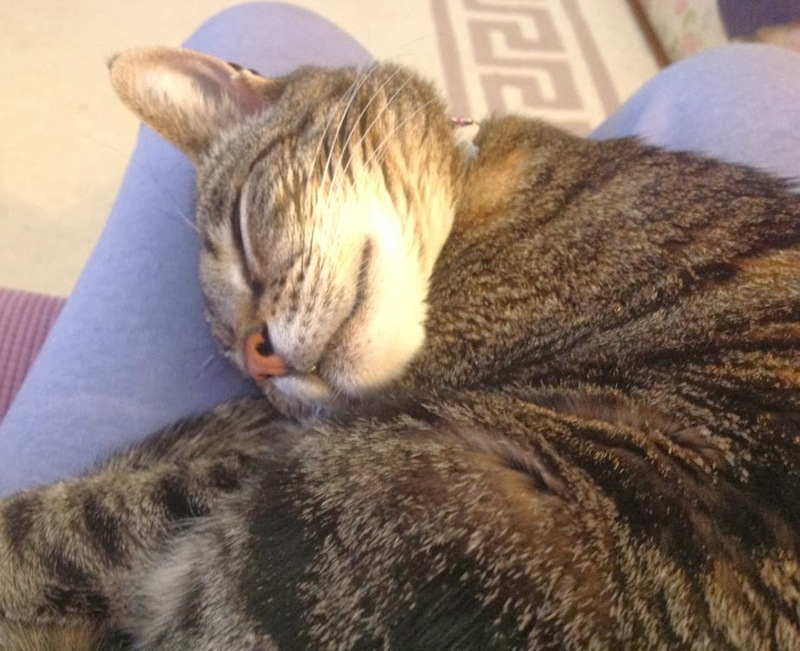 The reports of how they comforted each other after the death of Arthur show a couple who were loving & close. Henry's grief after Elizabeth's death in 1503 was devastating & obviously genuine. Elizabeth's relationship with Margaret Beaufort also seems to have been close & harmonious. The stories of Margaret dominating Elizabeth & keeping her on the sidelines come from only two reports from Spanish envoys who were at Court when Elizabeth was in early pregnancy. Weir speculates that their reports of Elizabeth being ignored & overlooked might stem from her ill-health. There are many more reports of Margaret & Elizabeth working together on charitable & educational projects. 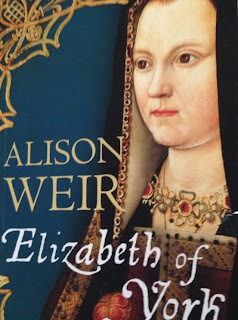 Alison Weir's book describes Elizabeth's world in great detail. At times, there was almost too much description of Court ceremonies & the endless lists of fabric & garments bought. However, that's my only quibble with this exhaustively researched biography of a woman who lived through tumultuous times. Elizabeth of York created a life for herself that may have required sacrifices & compromises but was nevertheless successful & ensured the survival of the Yorkist line. This is another favourite carol, a translation of the Latin Puer nobis nascitur. It dates back to at least the 14th century in a manuscript in Moosburg, Germany but has also been found in French & Finnish collections. The O & A in the last verse stand for Omega & Alpha. I have several different versions of this carol on CD but here is the choir of King's College, Cambridge from 2003. More lovely books have arrived in the last couple of weeks. Lots of preorders coming home to roost as well as some surprises that I had no intention of buying but I couldn't resist such bargains. 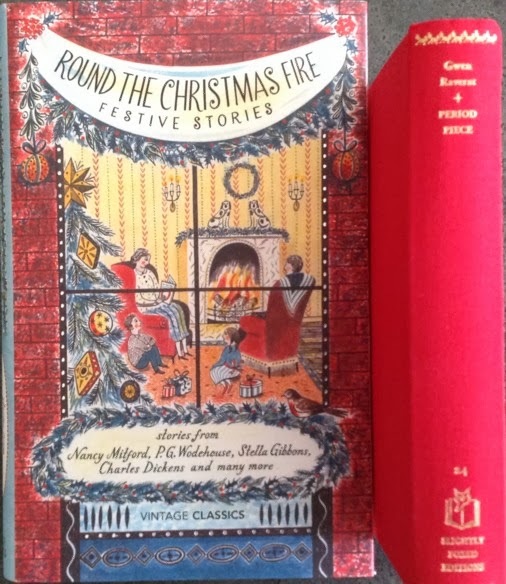 With Christmas just around the corner, I had to have this lovely anthology from Vintage, Round the Christmas Fire. 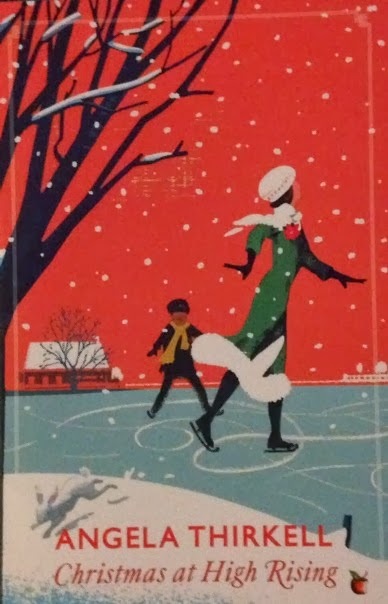 There are some lovely treats such as ghost stories by Edith Wharton & M R James, diary entries from Francis Kilvert & Adrian Mole, extracts from Nancy Mitford's Christmas Pudding & Jeeves & the Yuletide spirit by P G Wodehouse. I've decided to make it my Advent treat & read one story every day. A lot less fattening than chocolate. Period Piece by Gwen Raverat is the latest memoir to get the gorgeous Slightly Foxed treatment & the binding is a beautifully Christmassy red. I love the Slightly Foxed Editions & have collected them all. I read Period Piece many years ago & loved it. Raverat was a member of the lovably eccentric Darwin family & this recollection of a Cambridge childhood is just glorious. Funny, witty & illustrated by the author. If you've never read it, you're in for a treat, perfect Christmas holiday reading. 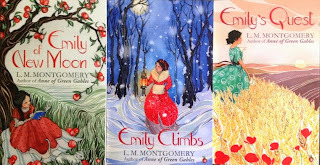 Virago have been adding to their Modern Classics with the Emily books by L M Montgomery. I've only read the first Anne book but these looked so lovely & many people prefer the Emily books to Anne so I'm looking forward to reading them. Angela Thirkell is another new addition to the VMC list & I love the beautiful covers of these reprints. 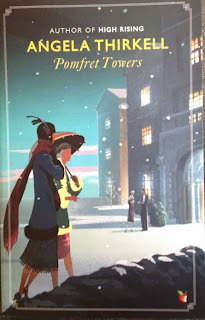 Pomfret Towers & Christmas at High Rising have just been published & there are three more to look forward to next year. Desperate Reader has devoured them already & you can read her enthusiastic reviews here & here. 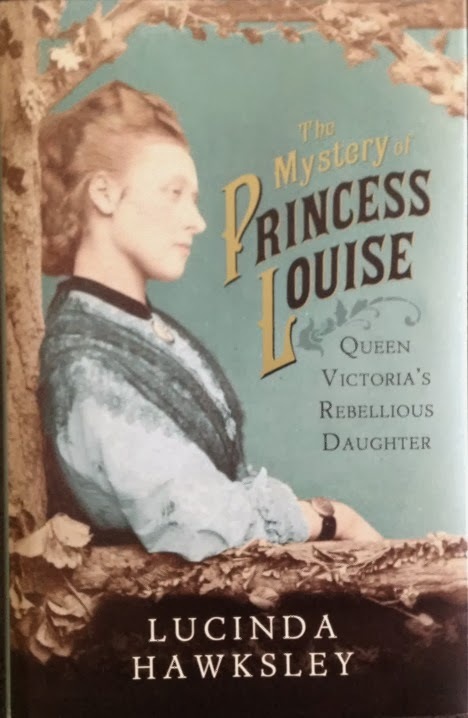 Lucinda Hawksley's new biography of Princess Louise, daughter of Queen Victoria, has received some press coverage due to the scandalous revelations of illegitimate births & love affairs. I've always been interested in Louise who seems to have been quite the rebel, an artist & sculptor who seems to have led a life far removed from that of most royal women. Lucinda Hawksley's previous biographies of Lizzie Siddal & Katey Dickens were excellent & I can't wait to read this one. I was contacted by Michael Walmer, a publisher who is reprinting late Victorian/Edwardian books that have been overlooked by the other reprint houses. Simon at Stuck in a Book thought I might be interested as Michael is based in South Australia. 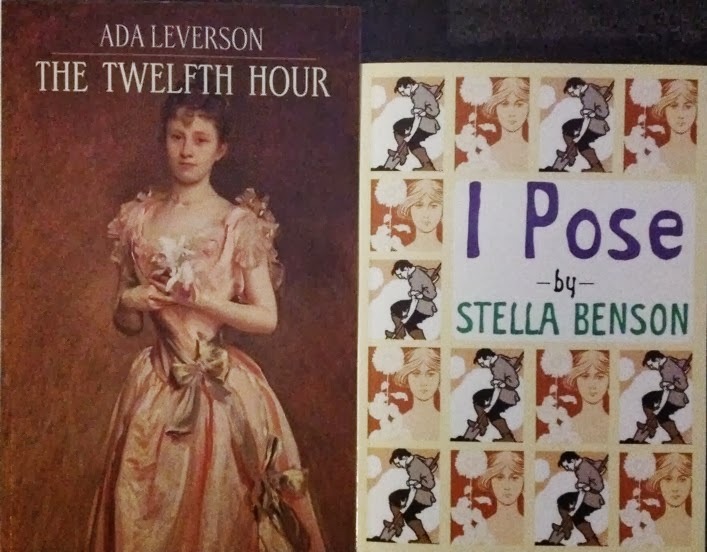 Well, I was interested & Michael has kindly sent me two books for review, I Pose by Stella Benson, which Simon has been enjoying & The Twelfth Hour, Ada Leverson's first novel. The books are POD but are excellent quality. The covers are attractive & the fonts look like the originals. 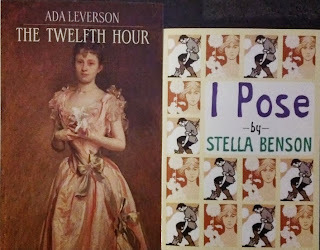 I'm looking forward to reading them both. Now, the books I couldn't resist. My favourite remainders bookshop, Clouston & Hall, had a Special Selection of OUP World's Classics. At about $8 each, I wasn't going to refuse to look through the list, obviously. I've read the Willa Cathers before but it was many years ago & I'd like to reread them & I can't do that if I don't own copies, can I? 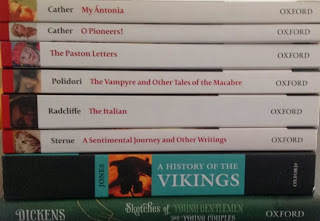 I also bought The Paston Letters (I have Helen Castor's book on the Pastons, Blood & Roses, on the tbr shelves so this is an essential companion read), The Italian by Ann Radcliffe, A Sentimental Journey by Laurence Sterne, Gwyn Jones's History of the Vikings, Polidori's The Vampyre, & Dickens's Sketches of Young Gentlemen & Young Couples which is an early work reprinted last year for the Bicentenary. Luckily I'd read lots of the books on offer or I could have spent much more! Edward Westray is a young architect sent to the former seaport of Cullerne by his employer to oversee the repairs to the Minster, St Sepulchre. Westray is a conscientious young man, intent on making his way in his profession. On his first visit to the church he meets the pompous rector, Canon Parkyn & the organist, Nicholas Sharnell. Sharnell & the Rector have little sympathy with each other & have very different ideas about the church. Westray also hears the story of the Nebuly Coat, the coat of arms of the Blandamer family, which is represented in the stained glass windows & monuments. The Blandamers are the local landowners although they've taken little interest in the church & its structural problems for some years. The current Lord Blandamer has been abroad & hasn't been seen for some years. Sharnell offers to find Westray a room at his lodging house, a former inn called the Hand of God. The house has been renamed Bellevue House & is rented by a respectable but impoverished gentlewoman, Miss Euphemia Joliffe. Miss Joliffe lives frugally & is pleased to offer rooms to Westray. Her niece, Anastasia, lives with her & helps out with the work. Anastasia's father, Martin, had recently died & his life was a wasted one. He had become obsessed by the idea that he was the rightful Lord Blandamer & pursued his genealogical researches to the exclusion of all else. His mother, Sophia, had married Colonel Joliffe some years after Martin's birth & he never knew who his father was. The Colonel loved Martin as his own son but he was never satisfied. Even after Sophia abandoned her family to run away with a soldier, the Colonel indulged Martin above his own daughter, Euphemia. Martin left his daughter with his sister for years at a time & returned only to sponge & run up debts before wandering away once more. His health suffered & he died still claiming that he was close to finding the proof that his mother had been married to Lord Blandamer & the current Lord had no right to his title & lands. Martin was taunted & laughed at for his fancies but his friend, Sharnell, indulged him & there were hints that there was more to his story than just imagination. Sophia had dabbled in painting & one of her pictures, a hideous still life of flowers & a caterpillar crawling along the bottom of the frame hung in Martin's room. Why should a London art dealer write to Miss Joliffe offering to buy the picture for £50? Who was the stranger who came to the house several times before Martin's death offering to buy the picture? Nobody but Martin saw this man so was he real or a figment of a sick man's imagination? Could there be a clue among Martin's jumble of papers? Martin leaves the papers to Sharnell & he gradually became almost as obsessed with the quest as his friend. Sharnell drank heavily & his career had been blighted by drink. He told Westray the story of Martin & of his own strange fancies of being followed by a man holding a hammer. Is this reality or something supernatural? Lord Blandamer arrives in Cullerne after a long sojourn abroad & immediately offers to fund the church restoration, including the repairs to the bell tower that Westray has been urging. 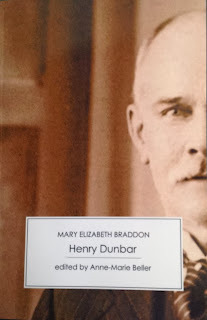 Blandamer befriends Westray & calls on him at the Hand of God where he meets Anastasia & hears of her father's obsession. Blandamer's motives are unclear as he pursues a friendship with Anastasia & seems to be searching for answers to questions of his own. 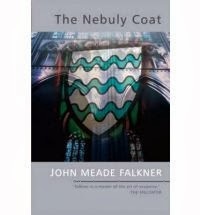 It's hard to say too much more about the plot of The Nebuly Coat without spoiling it. There are several ambiguities in the story that I'm still puzzling about days after I finished reading it. I read Falkner's The Lost Stradivarius a little while ago & this novel has similar elements of the supernatural. However, they're harder to fathom. Sharnell's man with the hammer could be real or could be a ghost or could just be a figment of a drunkard's imagination. St Sepulchre's is atmospheric enough without any supernatural additions. The building has a life of its own as it creaks & groans. Westray imagines he hears the arches of the tower whispering to him & Sharnell locks himself in to the organ loft when he practices alone at night. I loved Euphemia Joliffe. She is loyal to her wastrel brother & loving to her niece who she has to support on very little. Keeping up appearances is everything. She is determined to pay his debts after his death but hesitates to sell her mother's awful painting because her mother painted it & her brother hung it in his room. She even paid to have the Hand of God inn sign painted over as she thought it blasphemous to live in a house with such a name, even though the old name keeps showing through. Cullerne is a melancholy place, full of lost souls. Once a thriving port, its glory days are long past as the channel silted up & destroyed business. The Blandamers have paid no attention to it for years & the church is in danger of falling down. Martin Joliffe's obsession is the catalyst for change for several people & I'm still puzzling over the meaning of the ending. Summer has been slow in coming this year. 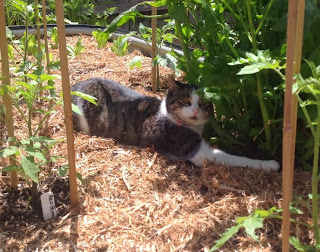 There have been a few hot days but many cooler ones & quite a bit of rain which has been lovely for filling up my water tanks & watering the garden so that I don't have to. I've been very lucky with my veggie garden as a friend who grows heirloom tomatoes gave me some seedlings from her greenhouse & they're doing very well. They were a good size when I planted them about a month ago but they have taken off in this lovely weather & there are flowers on all the plants already. 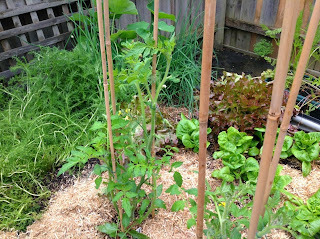 I have five varieties, a Black Russian, a Black Cherry, Tigerella, Rouge de Marmande & Red Pear. 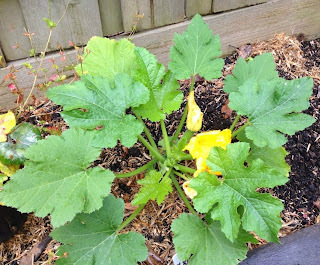 She also gave me a Butternut pumpkin & a Black Beauty zucchini which has flowers & a baby zucchini growing already. 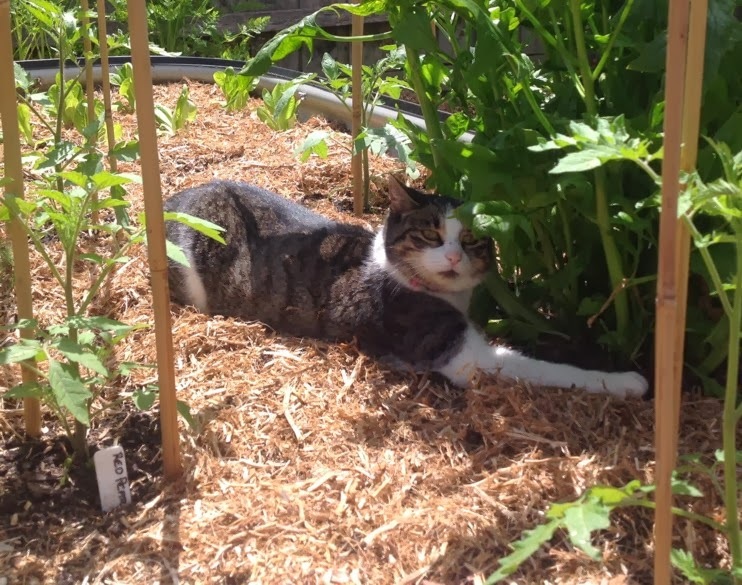 Phoebe has always loved sleeping in the veggie garden. I think she enjoys the warmth of the mulch & she's always quite careful not to sleep on the plants just underneath them. This photo was taken just after the plants went in. When she's not in the garden, she loves sleeping on the back porch. Here's a couple of photos I took just the other day. I'll have tomatoes by Christmas at this rate! My Little Gem lettuces are my favourite veggie at the moment. I can just pick a few leaves for my lunchtime sandwich & it's so delicious & crisp that I seem to be eating lettuce sandwiches with just a sliver of cheese on top. or, when I'm sitting down for more than two seconds, on my lap. Christmas is only a few weeks away & I love Christmas carols & songs so I'll be featuring them for the next few Sundays. According to the Penguin Book of Carols, Tomorrow shall be my dancing day is a very old song, probably dating back to the medieval Mystery plays. There was also a 15th century tradition of cradle prophecy carols where the infant Jesus would sit on his mother's lap & foretell his future & it may owe something to this as well. The picture above is of the slipcase of my lovely Folio Book of Carols (the actual book is a replica of the one the angels are holding) & I'll be taking my carols from this. Only the first four verses are in the Folio book & I don't think I've ever heard the full carol which takes Christ from His Nativity to His Passion. The full version is much darker & probably more appropriate for Easter & the carol was often divided into three parts & sung at different times of the year. This version was collected by William Sandys in his Christmas Carols, Ancient & Modern in the early 19th century.